The vendor walked the same pattern thought the bleachers for the whole game: down the steps on my left, and up the ones on my right. I sort of watched him as much as I watched the game. Posted on June 11, 2017, in Photography and tagged 365 photo project, baseball, black and white photography, learning to see, Leica, melinda green harvey, monochrome, one day one image, photo a day, photography, postaday, Round Rock, Round Rock Express, Round Rock Texas, texas, thoughtful seeing. Bookmark the permalink. 2 Comments. How many laps did he make? I don’t know – it was a lot, though. 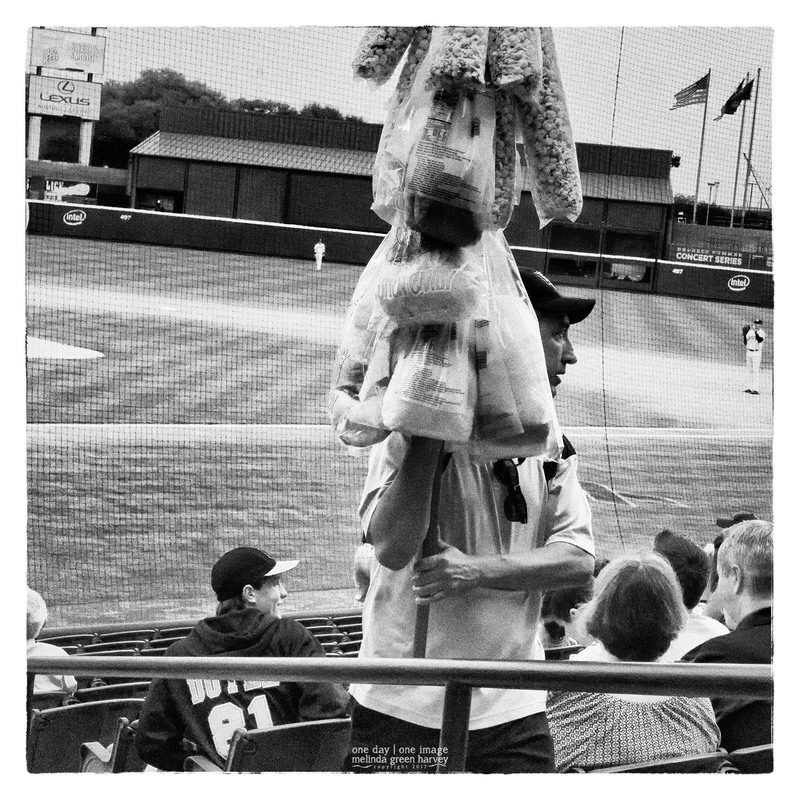 At least he’s selling cotton candy and popcorn, which is a lightweight cargo to lug around all night.